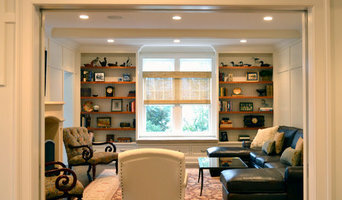 Georgio Home is an experienced full service home construction and interior design firm. We provide a world class building experience to affluent Westchester and Fairfield County residents with a luxury lifestyle home that appeals to their sophisticated style and taste, and explores the essential components of daily life in these unique suburbs. Georgio Home specializes in complete In-Home Design as well as Kitchens and Baths. Patricia Georgio Design can accommodate both modest and large scale projects. 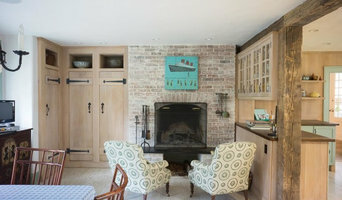 Combining an eclectic blend of period pieces, custom furnishings and contemporary selections into every project allows her to create original and sophisticated spaces that are unique to each client. This egalitarian approach to design assures a measured mix of periods and timelessness. It allows Patricia and her team to create spaces that are in balance and harmony with the way their clients live, work and play. OUR CORE VALUES excellence: We always give our best as we relentlessly reach for, and achieve ever-higher levels of quality, service, and efficiency. passion: We work with an energy and enthusiasm that comes from believing in what we do, giving more than necessary, and doing whatever it takes to get the job done. integrity: We conduct our business, and our lives, by the yardstick of honesty, fairness, and respect; and are fully committed to fulfilling our promises. completeness: We finish each project that we start, and we check and recheck the details along the way to ensure that quality exists. With a Bachelor of Architecture degree from Syracuse University, Stephanie brings with her 20 years of professional experience in the New York Metropolitan Area and the greater Hudson Valley. Through her connection to a variety of architectural offices and her own professional practice, she has extensive experience in Residential, Commercial and Institutional design and construction. With projects ranging from private residences and multi-family housing to nursing homes and community centers in Westchester and Putnam counties, New York City, and Northern New Jersey, she will expertly guide you through all phases of design and construction. As a sole proprietor, you are guaranteed direct and personal service throughout your entire project. Stephanie will be involved in all stages of your project including site and zoning analysis, schematic design, design development, construction documents, and construction services. Mitchell Wilk, Architecture is a full-service architectural firm based in Rye, New York. Founded by Douglas Wilk, MWA is based on the belief that architecture should enrich the lives of those who come into contact with it While our style is versatile, each project we embark upon is awash with innovation. Our residential work includes new homes, estates and renovations of existing homes. Since its inception in 2001, MWA has earned a reputation for developing inventive, thoughtful, and exquisitely-detailed designs. Our firm's success is based on our passion and the unique vision we bring to each project. WORKING TOGETHER Mitchell Wilk Architecture can work with any style of home. Those with traditional roots are carefully designed to maintain the charm and character of yesteryear while simultaneously creating a home for how families live today. More modern or transitional homes are prudently detailed to ensure spaces work seamlessly with the surrounding environment and building materials. MWA is highly cognizant of the context in which homes reside. A renovation or addition should relate to the existing home; a new home should look like it belongs on the land where it is built. We pay careful consideration to budget, view, light, functionality, materials and above all, a clients' design taste.